The introduction of online platforms has been beneficial to B2B companies in recent years. Lead generation and appointment setting processes are made easier. The same goes for audience targeting. Indeed, focus has to be directed towards one’s targeting activities on account of their importance to the sales pipeline as they determine the right people to go through the selling process. The absence of an effective targeting system on the other hand will only result in poor quality sales leads, or decision makers that have the capacity to buy but lack any interest to do so. Audience targeting is a very complex process that has to be streamlined in order to produce better results. In most cases, businesses invest on analytics software and upgrade vital facilities in order to resolve certain complications, but these prove to be costly and present lower returns in investments when not properly handled. Proper methods need to be explored in realizing effective targeting efforts that benefit your B2B lead generation and ensure a steady flow of revenue. Here’s a few of them. Look to your products. Your merchandise answers most of your marketing questions. Whether you are selling IT products for health services or human resources databases, your products define the right audience that you would want to sell to. Determine time-bound goals. With short-term and long-term goals in place, your business will be able to expend its resources only on relevant groups of decision makers. The absence of these goals entails a less focused marketing plan. 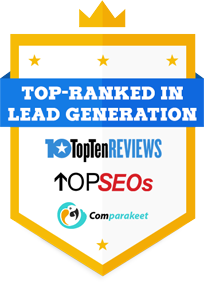 This only results in ineffective B2B lead generation strategies that fill your lead management with prospects that have a lesser inclination to buy. Optimize your searchability. In many cases, businesses suffer from poor web presence. This can be attributed to poorly developed landing pages, but this issue belongs mainly to SEO. It is important to determine keywords usually used by specific groups. Doing so will allow you to focus your marketing strategies on these demographics. Determine problems and issues. What are the main issues faced by industry players? Are there specific solutions for these problems? What groups are the most affected? Answering these questions helps you narrow down your target audience to include only those with immediate needs and express an urgent desire to buy available solutions. Hire an outsourcing firm. If doing the above remains to be complicated for you, then consider hiring a competent B2B firm. Independent companies that have lead generation and appointment setting capabilities can execute audience targeting efforts, ensuring quality leads and improved sales rates.